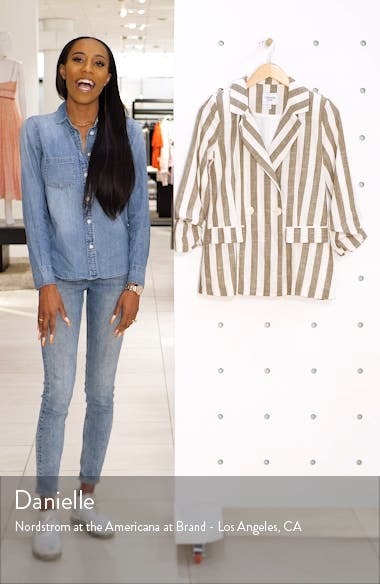 Ruched sleeves add casual flair to this crisply striped, double-breasted blazer. Choose a sizeTrue to size. XS=0, S=2-4, M=6-8, L=10-12, XL=14.